An Air Canada flight from Toronto to Washington DC had to make an emergency landing after smoke was spotted in the plane’s cockpit. 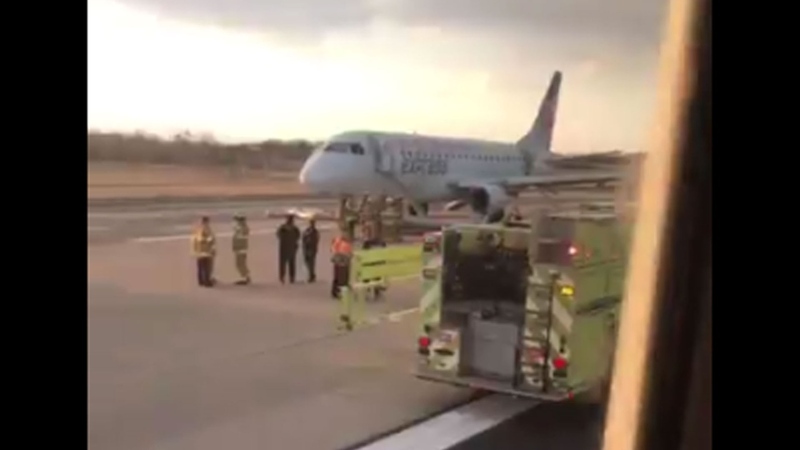 The flight was operated by Sky Regional on behalf of Air Canada and left Pearson International Airport at 4:51 p.m.
At some point during the flight, pilots saw smoke in the cockpit and the plane made an emergency landing at Dulles International Airport rather than at Reagan National Airport, as originally scheduled. “All 63 passengers and 4 crew were unharmed after exiting the aircraft on the tarmac,” Sky Regional Spokesperson Naomi Strasser told CP24 in an email. It’s not yet clear what caused the problem on the plane. 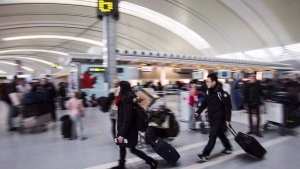 Air Canada is now assisting passengers in getting to their final destinations, Strasser said.